In 2013 Rainbow Loom, Minecraft and Beanie Ballz were big hits in the toy world. “Selfie” was added to the dictionary; Candy Crush and What Does the Fox Say took the internet by storm. It was also the year of the Boston Marathon bombing, and on the brighter side, William and Kate welcomed Prince George to the world. While trends come and go, thankfully, good books stick around. This year’s Newbery list is a good one. I LOVED, Loved, LOVED this book from Katherine Applegate. Sweet, poignant and inspiring, I wholeheartedly agree with the ALA picking this book as 2013’s winner. A great book for readers of all levels, if your kids haven’t read it they should give it a try. I would steer Splendors and Glooms towards older readers. It was creepy at times and definitely had a darker, gothic feeling throughout the story. I read it several years ago and liked it. My daughter on the other hand really liked it. She was going through a fairy tale phase at the time, liked the suspenseful nature of the story and doesn’t mind darker books. This one checked those boxes and was a winner in her mind. The true story of the race to create the most dangerous weapon in history―perfect for middle grade readers and history enthusiasts. In December of 1938, a chemist in a German laboratory made a shocking discovery: When placed next to radioactive material, a Uranium atom split in two. That simple discovery launched a scientific race that spanned 3 continents. Fast-paced and intriguing, this is historical nonfiction that reads like a novel. I loved this book and would easily recommend it to any kid interested in history or a really good story. Rising sixth grader Miss Moses LoBeau lives in the small town of Tupelo Landing, NC, where everyone's business is fair game and no secret is sacred. She washed ashore in a hurricane eleven years ago, and she's been making waves ever since. Although Mo hopes someday to find her "upstream mother," she's found a home with the Colonel--a café owner with a forgotten past of his own--and Miss Lana, the fabulous café hostess. She will protect those she loves with every bit of her strong will and tough attitude. So when a lawman comes to town asking about a murder, Mo and her best friend, Dale Earnhardt Johnson III, set out to uncover the truth in hopes of saving the only family Mo has ever known. A southern mystery that is hard to beat. Most of my kids have read this one and all of them have loved it. A suspenseful page-turner with characters you want to root for make it a hard book to beat. My personal opinion: I am always curious what lands a book on a list like this. I love that The One and Only Ivan won the ultimate award. 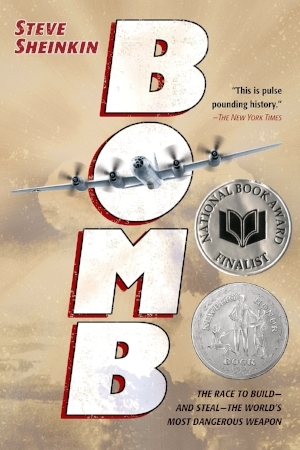 I also love that Bomb made the list, it truly is excellent narrative nonfiction for kids. Three Times Lucky my kids loved and I enjoyed. 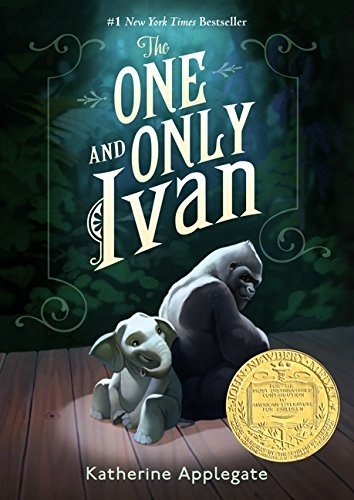 Would I have put it in the Newbery category, probably not, but it was well-written and a good story. 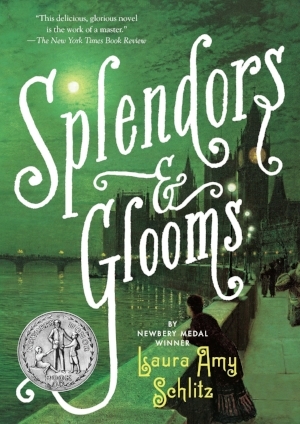 Splendors and Glooms is my least favorite of the four. It was a unique tale combining fairy tale elements with dark, gothic mystery, but it moved a little slow and didn’t stick with me. What do you think? Have you read any of 2013’s Newbery winners? Books bring up all kinds of emotions and opinions, do you think they were worthy winners?